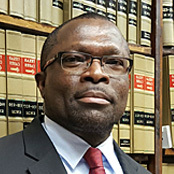 Attorney Joseph Onwuteaka has represented my family is the legal arena since 1988. My first representation was in a divorce case w/ child support. Child support was awarded, however, we appealed because amount was too low. From that point until today, Mr. Onwuteaka has been retained as the family lawyer. Joseph is very passionate about his legal services and for the most part has been very pro-bono when it comes to our faith in ,him as a lawyer. I can’t imagine not having him as a lawyer. My most recent case was delinquent property taxes. Each and overtime I have complete faith that I’ve received the best representation available. 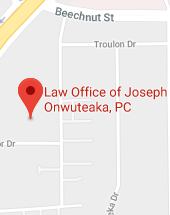 Mr. Onwuteaka will be the only attorney to represent me and my family for life!